I just made a confirmed reservation at Hold It Cato park. The manager was very pleasant, kind and helpful. I am looking forward to using this facility. One less thing to stress about! 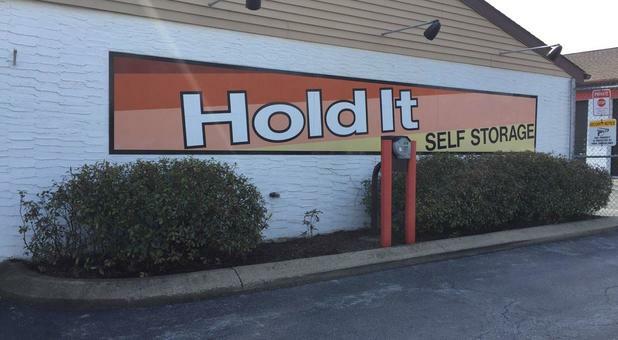 Thanks to Hold It. I can not say enough about this facility and the people that run it. It was everything that I was hoping for, and then some. Thank you Hold It. Lisa was awesome and so helpful! Storage unit is perfect and I easy to get to. Would recommend. I just rented a space from Hold It. It was the best experience I have ever had with a storage facility. Lisa was so helpful, kind, and considerate. This is a locally owned Co. which was great. Space was clean and secure. We will definitely be using them. I've been a Hold It customer on and off for years, both for personal and business use, and they are the most helpful, friendly and fair minded people you could hope to deal with. The facility is well kept and easy to use, and I highly recommend them. This facility is clean, safe and secure. Lisa was so helpful, she listened to all of my questions and directed me to the proper size required for my storage needs. We definitely will be using Hold It again. The service here was superb, very friendly and caring staff. The unit was clean, dry and secure. Perfect for my goods. Will definitely be using them again.